This story, of course, rates up there with the one that Colonel Oliver North tried to warn us about Osama Bin Laden during Congressional hearings and the one that Lee Marvin and Captain Kangaroo (Bob Keeshan) met as Marines on Iwo Jima,. Both stories contains a kernel of truth somewhere (North did testify at Congressional hearings, and Marvin and Keeshan were both Marines), yet the stories themselves are false. And like them, the Captain Ellicombe story is a yet another MYTH that makes it way around thanks to the Internet. Bad history, and we get to see a lot of it, needs to be corrected. The story of Captain Robert Ellicombe and his Confederate son is a myth, a fake, a tall tale, a good anecdote to tell around the old campfire, but a story that, outside of the fact it takes place at Harrison’s Landing, holds no truth whatsoever. This is one of those stories that is reprinted and forwarded to others and makes its way around the Internet around Memorial Day, Independence Day and Veterans Day. The story gets printed in papers, newsletters, and, sad to say, even on some military websites as the true version of how the bugle call of Taps came into existence. I have sounded the call thousands of times as bugler in national cemeteries and at hundreds of memorial services. I am also a bugle historian who has spent much time researching this topic. I was the curator of the Taps Exhibit at Arlington National Cemetery and am a Civil War re-enactor. I, along with other history buffs, have researched the real story and have tried to squash this myth. “We in the United States have all heard the haunting song, ‘Taps.’ It’s the song that gives us that lump in our throats and usually tears in our eyes. But, do you know the story behind the song? If not, I think you will be interested to find out about its humble beginnings. Reportedly, it all began in 1862 during the Civil War, when Union Army Captain Robert Ellicombe was with his men near Harrison’s Landing in Virginia. The Confederate Army was on the other side of the narrow strip of land. The following morning, heartbroken, the father asked permission of his superiors to give his son full military burial despite his enemy status. His request was only partially granted. The Captain had asked if he could have a group of Army band members play a funeral dirge for his son at the funeral. The request was turned down since the soldier was a Confederate. But, out of respect for the father, they did say they could give him only one musician. The Captain chose a bugler. He asked the bugler to play a series of musical notes he had found on a piece of paper in the pocket of the dead youth’s uniform. This wish was granted. That is the myth. The true story may not tug at the heartstrings as much but certainly can be documented and shown to be the correct factual story of how Taps came into being. You can read the true story of the creation of Taps by clickingÂ HERE. We know much about the two men involved with the creation of Taps. 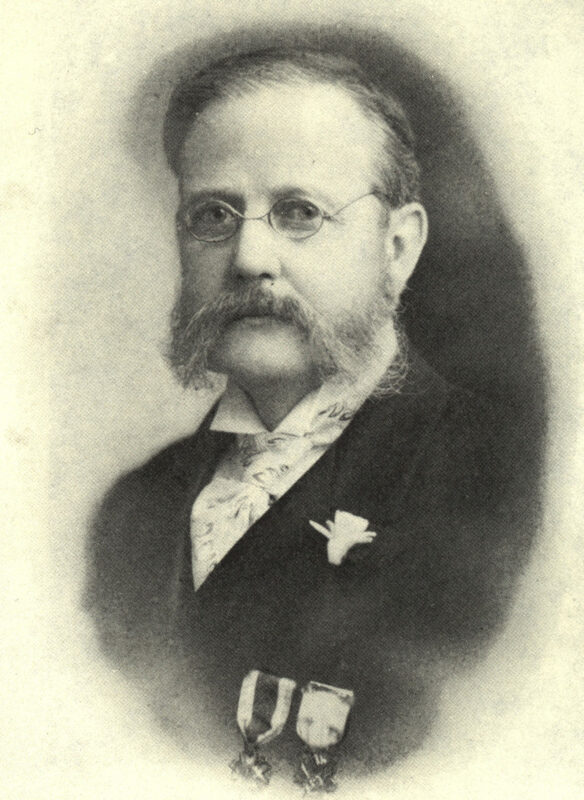 Both Daniel Adams Butterfield and Oliver Willcox Norton survived the Civil War and went on to become prosperous and respected businessmen and citizens. They wrote about their Civil War experiences and of the creation of Taps in July 1862. There is no proof that a Captain Robert Ellicombe ever existed. The myth gives no indication of what unit or state he served. In order to be believed, one needs to produce muster, discharge or pension papers and background history of both father and son, units, etc. Also, where is the son’s grave? 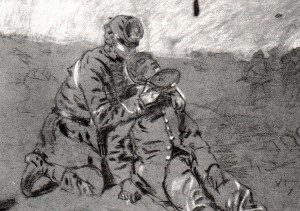 There is no basis at all to the story, except that it also occurred near Harrison’s Landing in July 1862, where the true birth of Taps took place. The Taps myth took on a life of its own and was even printed as fact in an Ann Landers or Dear Abby column. A retraction was later printed. It has acquired a renewed life on the Internet and is spread by many unsuspecting but well-meaning people who believe it to be true. It is unfortunate to see it on websites, especially military and veterans’ sites that should know better. It is hoped that those who are interested in history will spread the word to stop the myth. I write in relation to The Last Post, a bugle tune played by the British and Commonwealth military forces since about the 1500s when the British were fighting in Europe, mainly Holland, Belgium and France. The Officer of the Guard would take the Guard from the camp through the nearby town where soldiers were on leave. He would take the Guard to various places within the town where soldiers may be, ie, theatres, pubs, wine shanties or brothels. The Officer of the Guard would advise soldiers it was time to return to their barracks or billets. Each of the stops were known as “posts” and at the last “post” the bugle would sound the tune which became The Last Post. Any soldiers caught outside the barracks or his billet after Last Post would be arrested by the Guard and locked up for the night. That is the historically correct version of the Last Post. It has nothing to do with Taps, the American Civil War or 1862. Thanks for clarifying this myth for me! I read this as a anecdote in “That’s Not In My American History Book” by Thomas Ayres, and really got excited about this and want to include it on my website as a new part call History Shorts. But as a closet historian I want to ensure I had my facts correct. You have done this for me. Thank you for your service to this country! My MOS (Military Occupational Specialty) in the Marine Corps was as a Field Music (Bugler) trained at Field Music School Marine Corps Recruit Depot, San Diego California (1954). Our information concerning Taps was as you have related. I did not hear of the Captain Ellicombe version until about 4 or 5 years ago (about 2008/2009) and while it is an interesting version I harbored some doubt because of the basic history of many of our Military Bugle Calls that we studied and learned about during our training. While there could be some validity to the Ellicombe version I am prone to believe it would have been brought to light during our school training. Efectivamente es muy emotiva la historia y/o mito del CapitÃ¡n ellicombe y su hijo que estudiaba mÃºsica en el sur y se alistÃ³ al EjÃ©rcito confederado. Empero, no se dice el nombre del soldado (hijo) a fin de poder seguir averiguando sobre la vericidad de esta historia, que en verdad estÃ¡ mejor, como origen, que la del Gral Batherffield o la traida de Francia. Espero que sigan averiguando en la Histopria americana de la Guerra civil Americana; tal vez en la Serie Norte y Sur se diga algo al respecto. 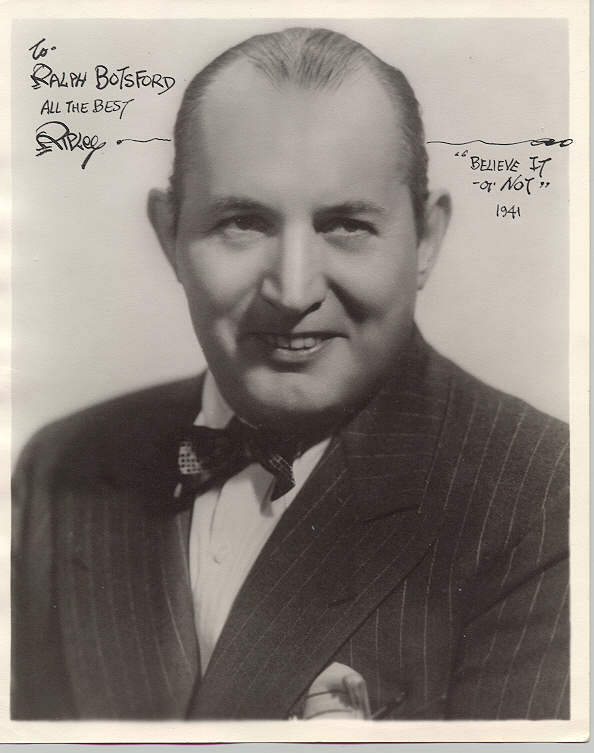 So, why would a General military band leader compose music on the back of a envelope while in camp? Did Echo Taps originate at Berkely, or is that a Myth too? That story was circulated for many years and taken by many people as true. However, If such a person existed, military records do not show it. According to Military records from the Civil War, there was NO Captain Robert Ellicombe in the Union Army. Yet this story has been widely told all around the world and has been believed by many to be the true story of taps. The story does have a few truths in it. 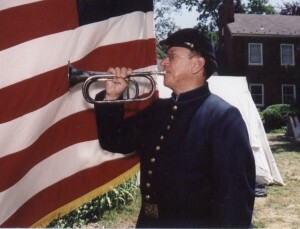 “Taps” was first played in 1862 at a funeral near Harrison’s landing. Further, we know that many fathers wept over the death of their sons in this war. Brother fought against brother and father against sun during this time when our country was divided. 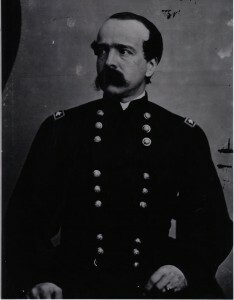 Credit for the music is given by many people to Brigadear General Daniel Butterfield, who had the music played to extinguish lights at bedtime. Tidball’s Battery A of the Second Artillery was in an advanced position. They were a close distance to the enemy and fighting from a concealed position. 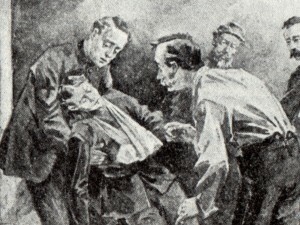 A young man from the unit had been killed in action, and his friends were trying to bury him with military honors. Wow!! I found you quite by accident, and am I ever glad that I did. I have now for quite a few years heard the FALSE story of how TAPS came to be, and I as so many others believed it! Thank God that I found you! I have bookmarked your site so that I may tell others where they too can learn the truth of this great Bugle Call. I am military veteran of both the US Air Force and the US Army. I am the news editor of my local VFW Post’s newsletter and I want so much to quote you and reference your web site in my Memorial Day edition. Thank you.